Apologies to all the DDNet readers for the delay in getting this review up; tracking down a PlayStation VR unit when you made the mistake of not preordering it was a challenge. Thankfully one of the DDNet team was able to find a unit on sale in a shop in the middle of nowhere, so here we go; I’m finally VR-ready (thanks, Brad!). So, let’s talk about PlayStation VR. Unlike Oculus Rift or HTC Vive, you don’t need a ridiculously powerful PC to get anything out of it. Unlike Samsung’s or Google’s VR units, this one actually offers a quality experience. The PlayStation VR is designed to meet that middle ground between quality and price, and it really hits that point perfectly. Setup is easy, courtesy of a simple ten-page manual presented so elegantly that it makes Ikea instruction manuals look like technical textbooks. Once the hardware is all hooked up, it’s just a matter of sticking the goggles on and then running through a quick setup process to get the thing installed properly on your PlayStation 4. All together, I might have spent 15 minutes setting my PlayStation up for VR. The one issue that I came up against is an odd one. When the PlayStation VR is connected to my PS4, intermittently the image on the television would flicker in and out. This doesn’t affect the image that I saw through the headset itself, so it doesn’t affect the games in any way, but I can’t for the life of me figure out what is causing it. I checked all the HDMI cords, and they’re working fine, and the PlayStation 4 is working fine when plugged in independent of the VR headset. 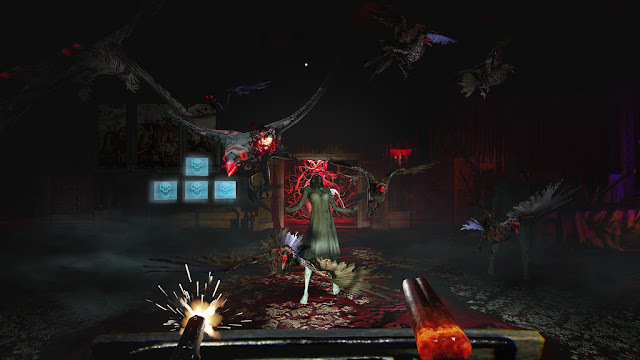 I’m not fussed about it; as I said it doesn’t affect the VR games in any way, but it’s just odd and a little bit of a distraction for those watching someone else play. The device itself is a delight to use. The goggles are solid, and sit on the face nicely, while also not becoming so heavy that they’re tiring. The couple of times I’d tried the goggles at gaming events in the lead up to the release, I had issues with the goggles not properly fitting over my eyes, and letting some light in around the edges, which I found distracting to the point of being maddening. Now I have my own unit, I’ve discovered that it’s just a matter of playing around with the straps a bit. I’m able to get it to cover my face properly now, so I can get on with the immersive VR experience. Also worth noting for people who use glasses: yes, the headset does allow you to wear your glasses while playing. 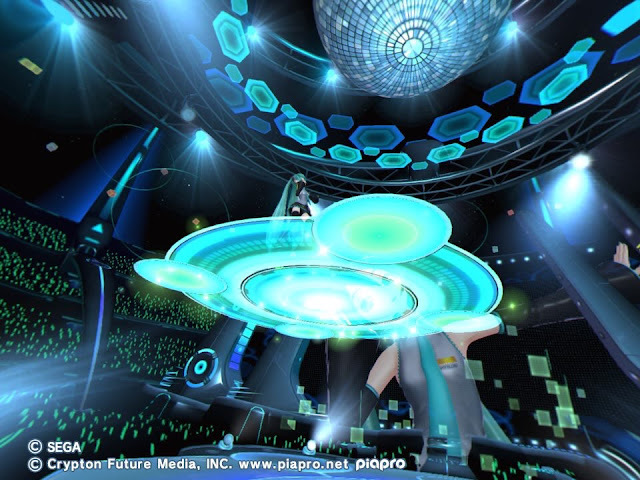 I need them myself, and I was sure as heck not going to give up on seeing Miku in all her glory in VR by playing without my glasses (yes, there’s a review incoming). One noticeable point of discomfort is that the goggles do get warm after a while, and, if you’re like me and naturally a heavy sweater, this means that you’re going to fog up the goggles. I haven’t figured out a remedy to this just yet. I’m sure there’s something I can do, though for now I need to take the goggles off frequently to wipe them down. I was impressed with my ability to win a race in Driveclub while it looked like I was racing in Beijing during one of its heaviest smog days, though. Inside the headset, the VR is able to render a good amount of detail, and the full 3D effect looks nicely rounded. The headset also tracks head movements perfectly, with no delay to any tilting or panning that might make for a disorientating experience. I’m a little surprised that Sony doesn’t disable the share button when people are using the headset, however, because the 2D static images that come from taking a screenshot just don’t do the games that you’ll be playing justice. I’m actually tempted not to use screenshots for VR game reviews, because I don’t think they are reflective of the experience at all. I suspect that this is actually going to turn into a significant marketing challenge for Sony. To date it has been very proactive in going along to game shows and getting as many people playing with VR headsets as possible. It’s going to need to continue to do that for some time to come. Of course, calibration can be an issue with 360-motion games like you’ll be playing with your PSVR. Sometimes all the motion will throw the game off, and you’ll need to centre yourself and the game before you can continue on. Pressing and holding down on the options button will reset the “front” of the screen to the front point that you’re facing at that point in time (at least, it was the options button on all the games that I’ve played so far), and while that’s not perfect for some of the high action games, for the most part it’s a seamless experience. The headset’s designed to be played while wearing earphones for maximum immersion. Obviously you’ll not be able to manipulate the sound of your TV while playing, because you’re not going to be able to see your remote, but the control box that you connect the headphones into have full sound control, which is another neat feature (even if the power button’s on the same control set and a couple of times I’ve accidentally turned the headset off while trying to turn the music up). The headset comes with a disc of demos that show off some of the experiences already available through PSVR. Of those demos I was sold on a couple of games. 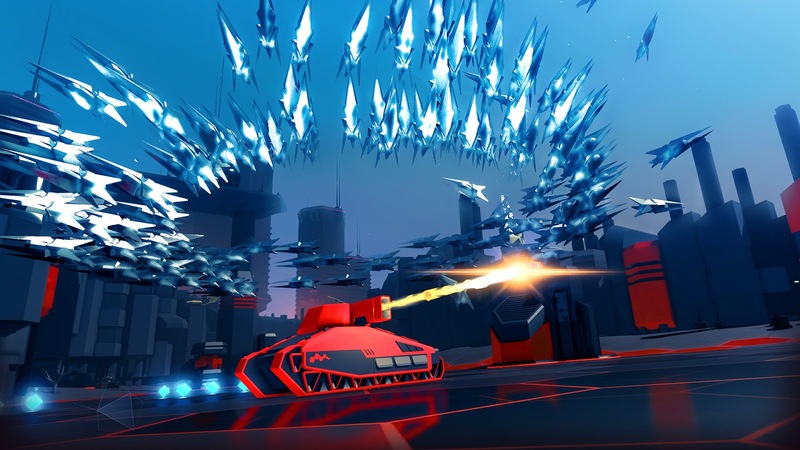 Battlezone was heralded many years ago as being one of the visions of games in the future with its Tron-like aesthetic and 3D gameplay. Battlezone feels like a natural fit for showing off the future of VR, and boy is it a fast-paced, exciting game. Eve: Valkyrie’s demo is pitifully short, but gives you just enough time to get a sense of flying around space in VR. Bring on that No Man’s Sky VR update. Meanwhile, Driveclub VR reinforced for me the fact that racing games and VR are a perfect marriage; however, I am going to wait for a racing game that I like more once it is released with VR support – an update to Project Cars is something I would pay good money for. Oddly enough, though, it was one of the more humble games on the disc that I got really hooked on. Tumble VR is a simple physics puzzle game where you need to stack up a tower using randomly-shaped blocks. I actually bought that one immediately after finishing the demo, because the physics and the VR effect made for a delightful and zen Jenga-like experience. 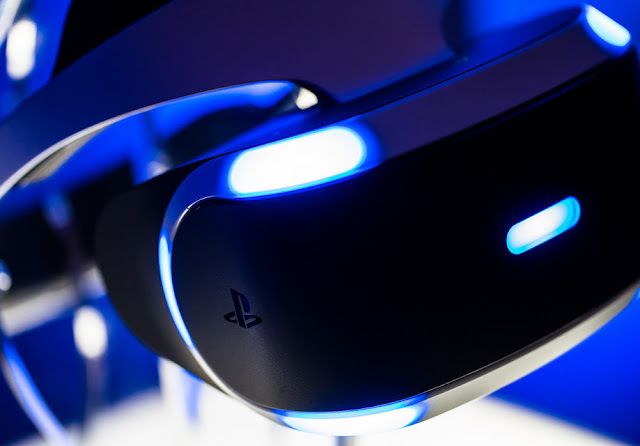 The PlayStation VR headset isn’t perfect, but the experience that it provides is. After a marathon first session of playing it with my wife, as we were packing things up she joked “well, real life’s boring now.” There are going to be some significant social and cultural implications for VR, because jokes aside, it is a far more immersive experience than conventional gaming. Sony’s right at the forefront with this device. VR is essential.